This isn't a Vintage Star Wars figure, but it might as well be. 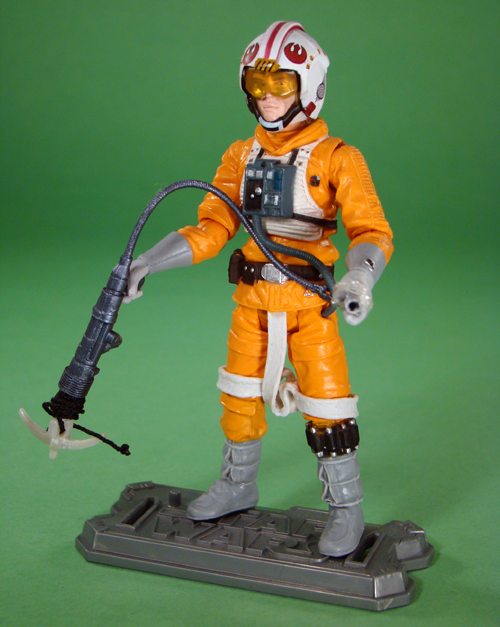 Actually, I think there is an upcoming X-Wing Dagobah Luke that is based mainly on this body. This is easily my favorite Luke figure out there right now. The head sculpt looks more like Mark Hamill than any other Luke figure and surprisingly it isn't undersized to accommodate the removable helmet. I set up my light box to take photos of my girlfriend's cupcakes (hey! ), but I threw Luke in there to test out a new green backdrop. My goal was to create a perfect chromo key so I could easily erase the background. It's not perfect, but I think it looks pretty good.